Traffic Video Monitoring, Traffic Information Collection,Smart Parking Manage System, Electronic License Plate, Traffic Signal Control, Road Traffic Emergency Command,Advanced Traveler Information System, and etc. Beidou Terminal and Chip, GNSS Terminal and Chip, LBS Device, Electronic Maps, Data Analyze and Manage,Dispatching and Management Platform and etc. Expressway Video Monitoring, Automatic Incidents Detection,ETC, Weight Charge System, Overloads Detecting System, Expressway Network Toll Collection System (Driveway,Station, Center) and etc. Traffic Information Publishing, Traffic APP, Traffic Big Data Mining and Application, IOV Smart Terminals,IOV Communication Technology, IOV Solution and etc. Intersection Traffic Lights Control Systems,Traffic Violations and Offense Detection,Intelligent Control Traffic Police Big Data,Single Police Equipment,Traffic Indication Signs, Attention and Warning Device, Police Law Enforcement Vehicles, Mobile Terminal for Law Enforcement, Speedometer, Alcometer, Alcometer, Drug Detector,and etc. The Latest ITS Technology achievement of Tertiary Institutions and Research Institutes. 1．Turban exhibition uses 9m2 of standard booths. 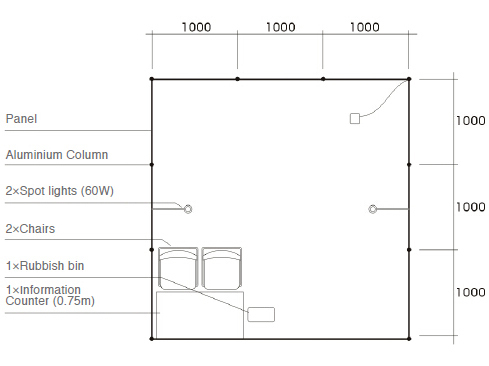 including three panels, two chairs, two spotlights, a 220V / 10A power supply, carpet and Fascia board. 2．Raw place is not equipped with any device. 3． The registration deadline is May 31, 2016. 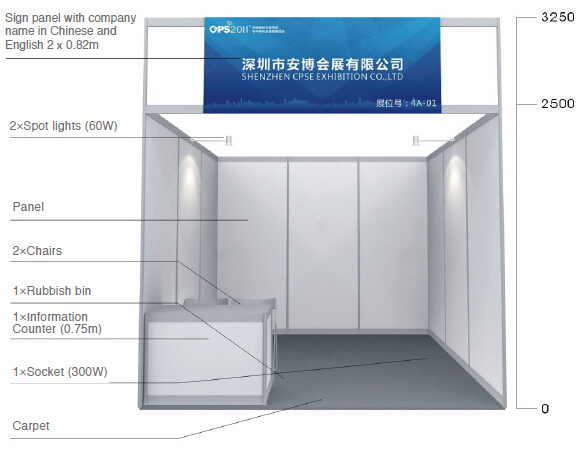 The organizer is responsible for the unified overall layout of the exhibition hall while the exhibitor is responsible for the inside arrangement of the booth. For other services, please refer to the Exhibitor Manual.